I had this beer several years ago while visiting relatives in Illinois. I thought it was pretty good at the time but I have not had it since then. I saw this at State Line Liquors and couldn’t help but buy it. I then had it again just last week as the dessert beer for Thanksgiving. So lets give this a full review and see how it holds up. 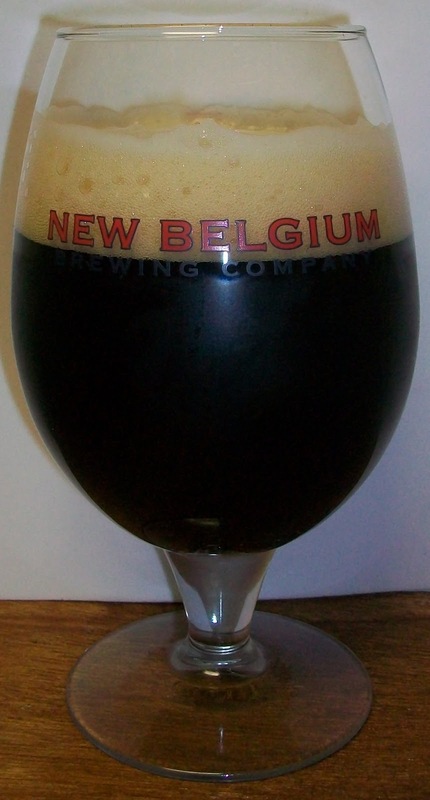 The beer pours a very dark brown almost completely opaque with just a slight hint of caramel hues showing at the bottom of the glass. The nose is fantastic with rich dark malt aromas with notes of toffee, chocolate and dark fruit. Wow, what a rich tasting first sip. The experience starts out with a dark malt sweetness up front on the tip of the tongue. That is followed by a very pleasant mouthfeel as the rich beer washes over the tongue in the middle of the sip. The back-end is rich but fairly easy drinking. There is a robustness of dark roasted malts that builds during the swallow into the finish. The finish is very nice with rich dark roasted malts with notes of toffee, chocolate and dark fruit. There is little to no hop presence on the finish. There is a lingering aftertaste of sweet dark malt with those fruity notes. The head diminished to a nice protective layer over the top of the beer with a thick ring around the glass. It is also leaving some impressive lacing on the glass. What a nice little beer. I let this last bit sit a little to warm up. We are now at 66 degrees. Ahhh my, this has smoothed out into an exquisite ale at this temperature. The malt flavors seem richer and smoother now at this temperature. Also now that the carbonation has been released it there is a silkiness in the mouthfeel. This is a solid A. 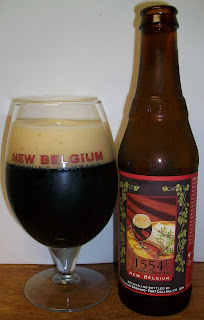 1554 is a excellently crafted Belgian Dark Ale with rich dark roasted malt flavors, dark fruit esters and earthy notes. What a great experience.